Whitehaven Beach comprises a wonderful stretch of white sand on the Whitsunday Islands. It is located off the coast of Queensland, Australia. Whitsundays are often regarded as the world’s most beautiful islands. The islands are lined by pristine white sand beaches. The inner forests are home to unique species of flora and fauna. The Great Barrier Reef lies below the clear waters. This is an amazing natural wonder that has a wonderful display of colorful corals. The marine life, too, is grand in nature. 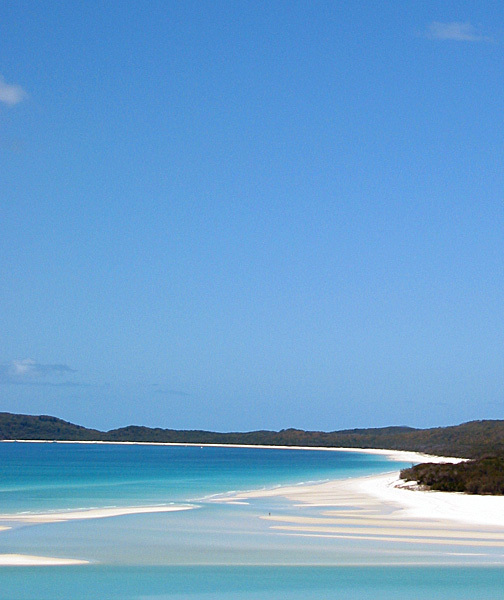 Whitehaven Beach is truly inspiring. On one end, the beach creates a wide arc with an inlet. The sands are so white that you will need you sunglasses for eye protection. The sea is an awesome spectrum of turquoise and blue. The sand that adorns the beach is unique. It is 99.9% silica. The sand was famously used in the manufacture of the lens for the Hubble telescope. It makes you feel cool despite the heat. The white sand has a compact structure, similar to moist salt. The noise of every footstep on the sand resembles the barks of seals. The waters are home to blue-spotted stingrays, baby sharks, and colorful fish. The beach is ideal for relaxation. Most travelers laze around with a good book. Strolling and swimming are popular activities. Admire the myriad colors of the shoreline while on the beach. The sand can be used to create an effective face and body scrub. The beach is a ‘must-visit’ in the Whitsundays. 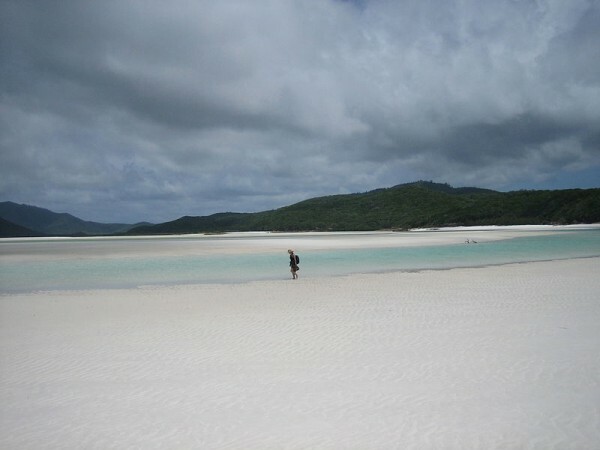 The white sands and clear waters stretch for seven kilometers along Whitsunday Island. This is the largest of all 74 islands. It offers ample opportunities to relax. Visitors can get a glimpse of nature at its best. Whitehaven beach is the most photographed beach in Australia. It has been called ‘Queensland’s most beautiful beach’ by ‘Keep Australia Beautiful’. This is the first time a Queensland beach has been conferred with this title. The northern end of the beach is home to Hill Inlet, which is a beautiful cove. Here, the tide shifts the sand and water and creates an awesome fusion of colors. 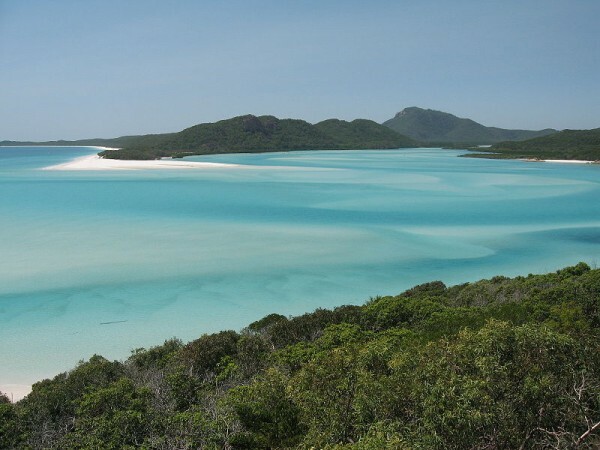 There are several ways to experience Whitehaven beach. Ferries and yachts offer day trips, which depart from Airlie Beach and some island resorts. Most sailing companies promote multi-day charters. Besides the beach, there are several spots worth visiting along the Great Barrier Reef. Adventure lovers can try their hand at ocean rafting, sea-kayaking, or a trip on a jet boat. Seaplanes and helicopters give an unbelievable view of the beach. Whitehaven beach gives you memories that will last a lifetime.